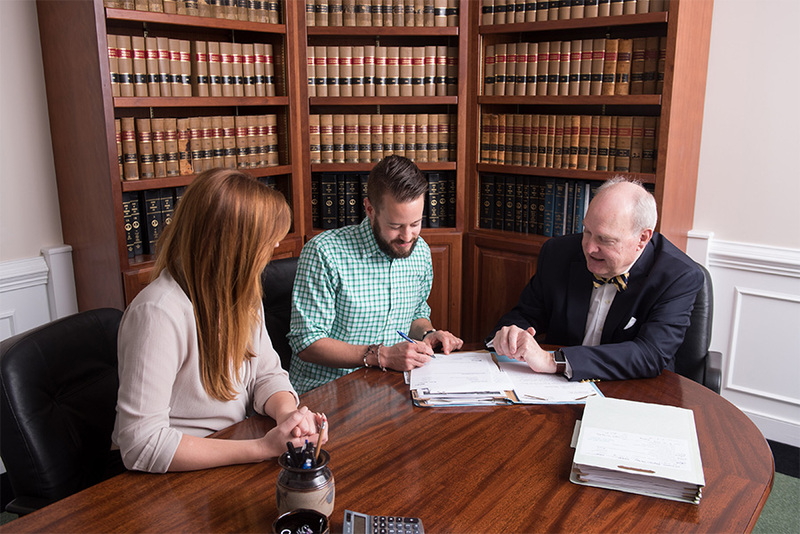 The attorneys of Smith, Barden & Wells, PC provide their clients with a full-service real estate practice. Our attorneys assist individuals and businesses with the sale, purchase, or development of commercial and residential real estate. All of the lawyers of Smith, Barden & Wells, PC conduct closings on behalf of buyers and sellers of real estate and closings for refinances of mortgage loans, both residential and commercial. The attorneys with Smith, Barden & Wells, PC provide personal and professional services to those people and businesses in the commercial real estate market. We work with landowners, real estate developers and others. All fields related to real estate matters, including land sales, financing, easements, mechanic liens, tax and judgment liens are covered. Our firm aims to find efficient resolutions to possible complications in all projects, large and small. Our residential real estate practice includes representing buyers and sellers for contract and deed preparation, document preparation at closing, for handling issues related to disputes, title ownership, and lien problems. We work closely with real estate agents and mortgage lenders. Our attorneys regularly assist homeowners with mortgage loan refinances as well as lease matters and foreclosure problems. A team of experienced lawyers and paralegals is involved in every real estate matter. Their experience ensures that your real estate matters are handled with care and the detail that are required. To speak with a lawyer regarding real estate, contact Smith, Barden & Wells, PC today to arrange your consultation.